Now you have a baby, what are you going to do with it?! Kaz Cooke, the author of the bestselling pregnancy book Up the Duff, has you covered from your very first day with a baby. With reassuring info, helpful suggestions, answers to your worries and quotes from Australian parents, Babies & Toddlers is backed by the professional advice of more than thirty medical and other experts. crying * sleeping * breastfeeding * bottle-feeding * health & body image for new mums * coping * developmental milestones * eating * common illnesses * fun stuff * safety * toilet training * tantrums (theirs and yours) * extra stuff for dads * and much, much more. 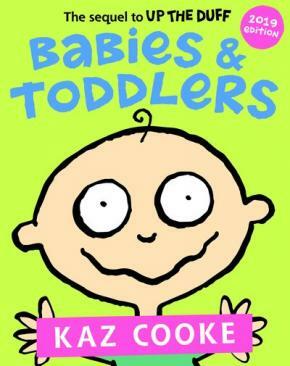 Fun, practical and updated every year, Babies & Toddlers has everything you need to know about looking after babies and toddlers.